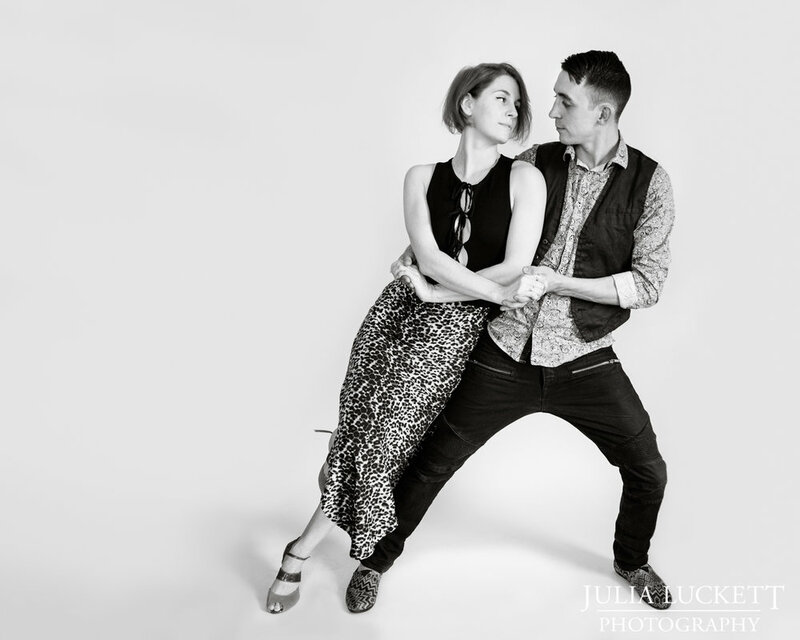 Sarah Snow & Jon Bacon run Dsantos VT, a dance company based in Vermont that teaches Kizomba, Kuduro, Semba, Salsa and Bachata. Their joyful energy and seemingly never-ending supply of dance moves made this photoshoot particularly fun. This makes a lot of sense as they are known for their positive, open and enjoyable dance style. Jon explained that some of his favorite memories from the past year were from, "the monthly dance parties and for Halloween we did a haunted house. It was a really great event and people dressed up like crazy. We also travel to other cities to learn and perform. Every November we hop on a cruise ship with about 3000 dancers and about 30 people from Vermont go together. It's a great time with lots of funny stories that we get to come back to Vermont with!" Sarah & Jon's story as a business is also linked to their romance. "Last summer is when we decided to officially go into business together, but we have been dancing together for about 3 years. We actually are one day apart in age and went through school together but, we never really got to know each other until we danced on the salsa team. Now we get to create choreography, teach Latin dance, and eat dinner together!" You can check out the schedule for their dance classes on the Dsantos VT website, where you'll find a variety of classes and levels for you to attend.